Buy Online Now! 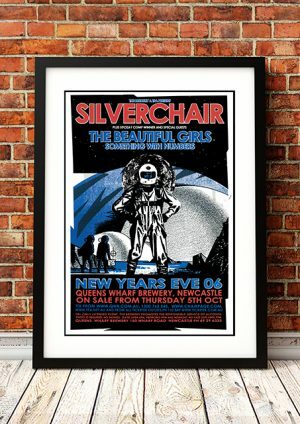 – The Beautiful Girls Rock Concert Posters and Memorabilia. The Beautiful Girls are an Australian roots music group founded in 2001. They have released three extended plays, Morning Sun (2002), Good Times (2002) and The Weight of the World (2004); plus five studio albums, Learn Yourself (2003), We’re Already Gone (2005), Ziggurats (2007), Spooks (2010), and Dancehall Days (2014). The latter four albums have all peaked into the top 20 on the ARIA Albums Chart. Spooks and “Dancehall Days” also debuted at No. 1 on the Australian Independent Chart and, No. 7&5 (respectively) on the American Billboard Reggae Albums Chart. Their single, “I Thought About You”, reached No. 60 on the ARIA Singles Chart. By 2014 The Beautiful Girls had toured the world multiple times – including Japan, Canada, Brazil and the United States – and their total album sales had reached 350,000. We stock a couple of awesome Beautiful Girls Posters. 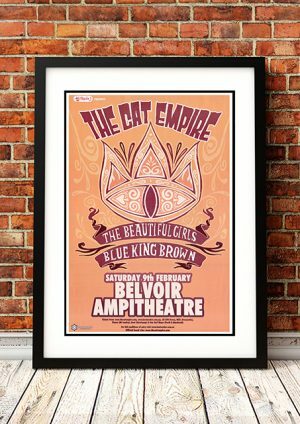 Available in different sizes and printed on high quality 210gsm paper, you’ll find no unsightly pin holes, stains or creases.